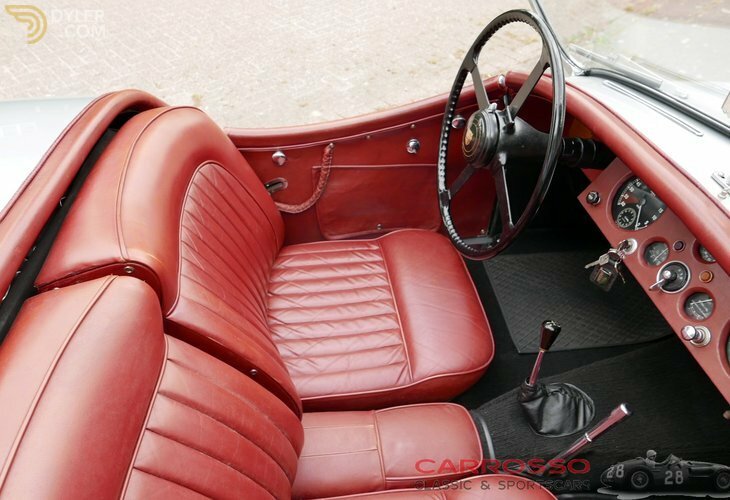 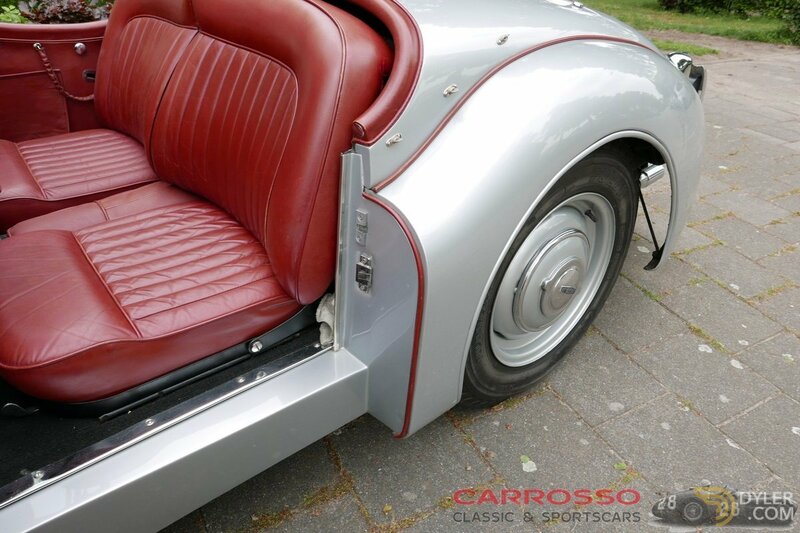 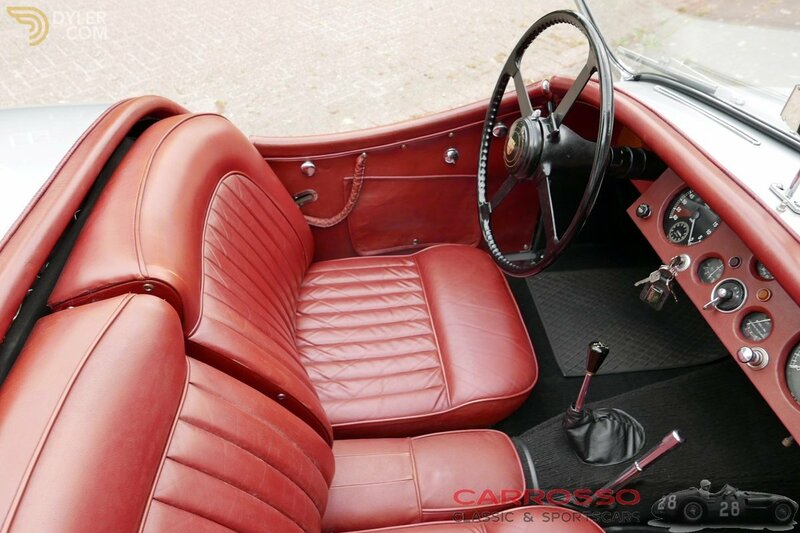 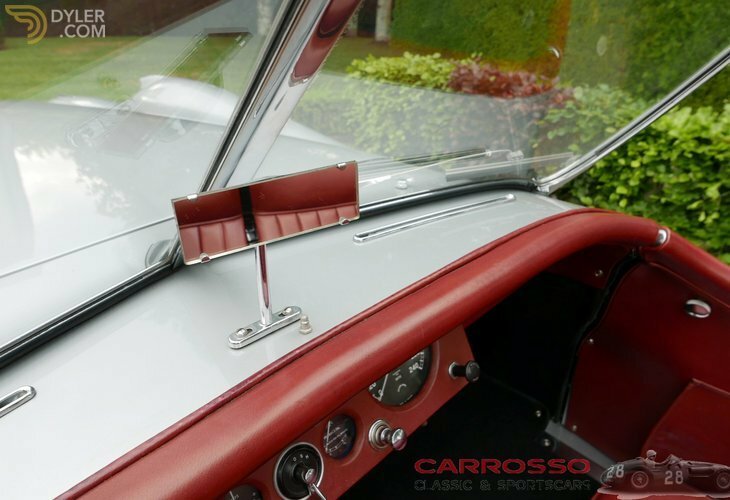 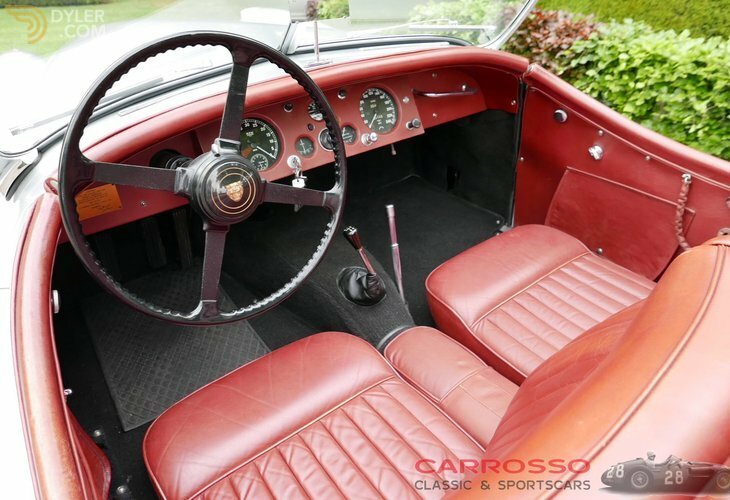 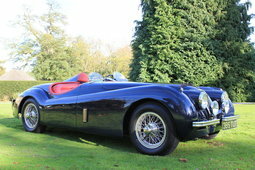 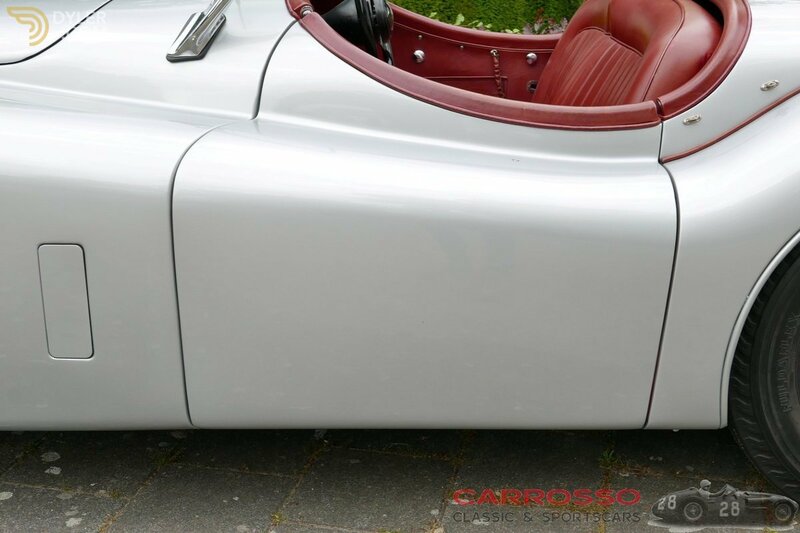 Beautiful Jaguar XK120 OTS (open two-seater) executed in a great color combination. 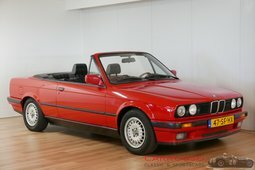 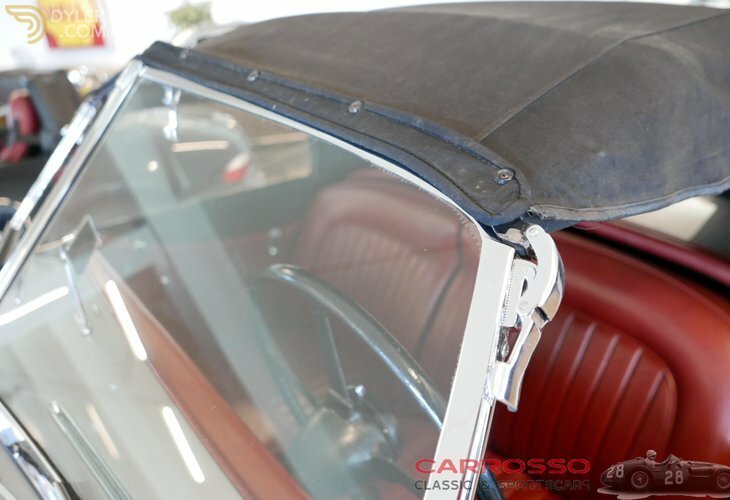 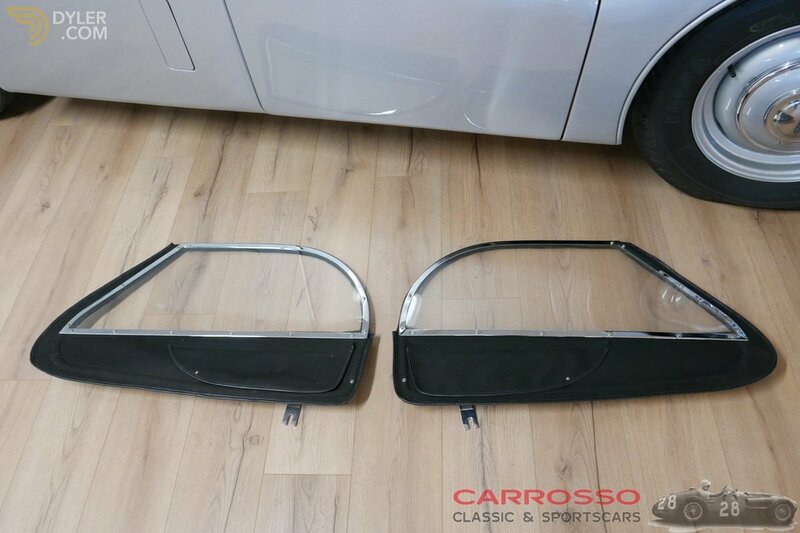 Both exterior, interior and technically in very nice condition! 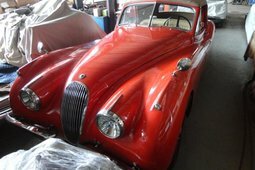 With rare side windows, original identification plates, soft-top in good condition, rare Jaguar headlights and 4 as good as new tires. 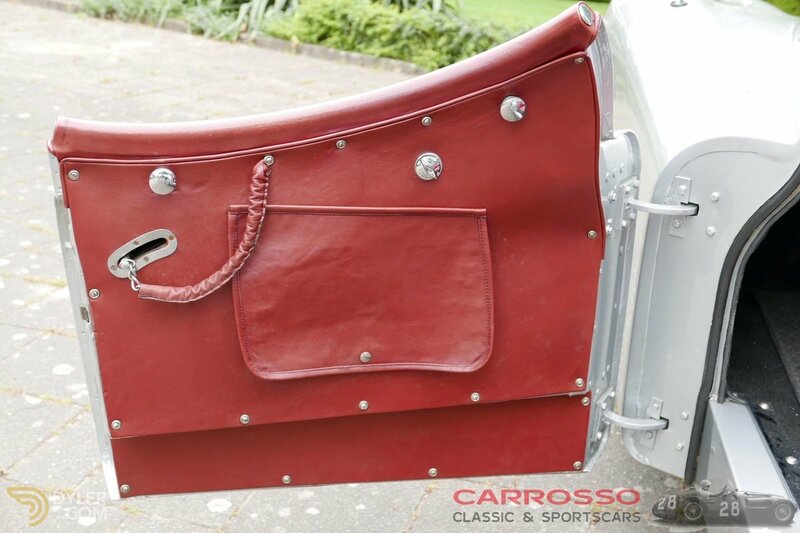 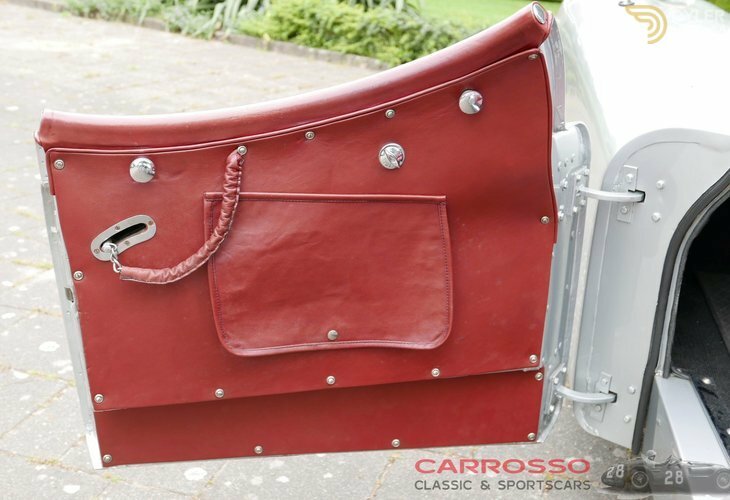 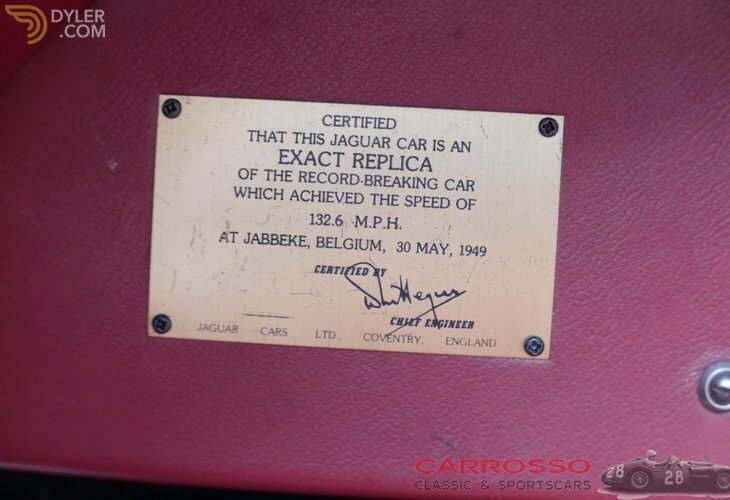 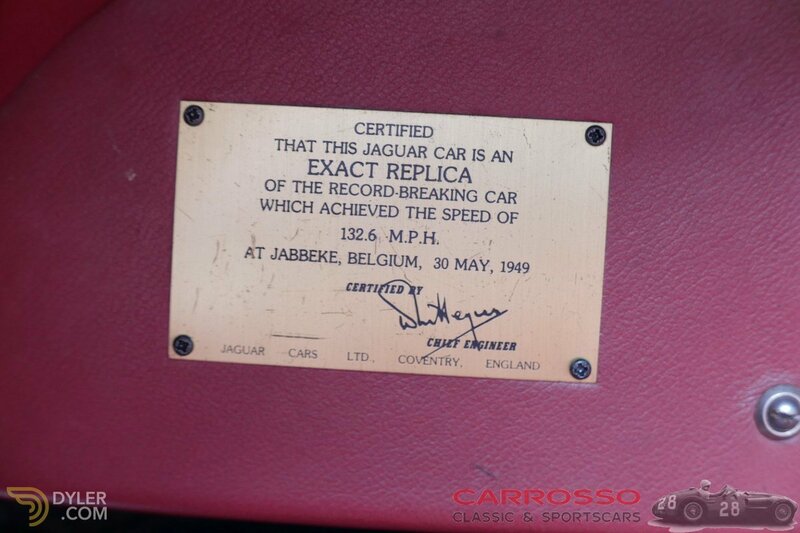 Since 1995 in possession of the last owner, he maintained the car very well. 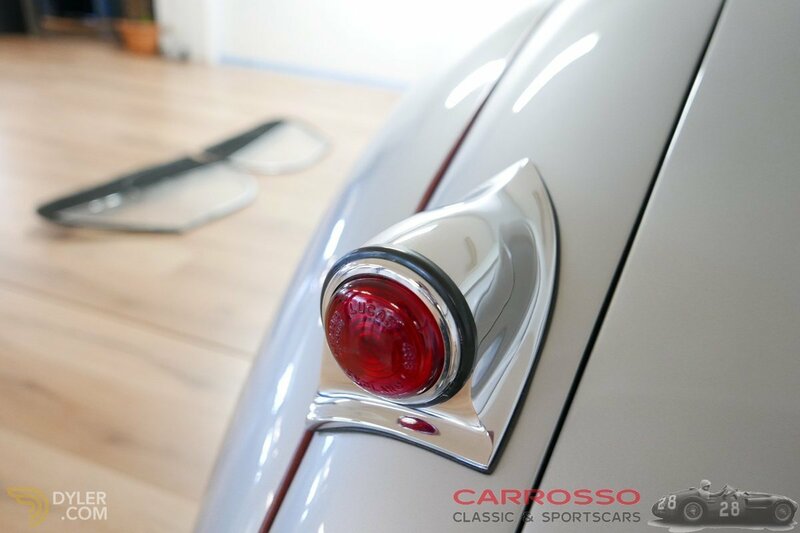 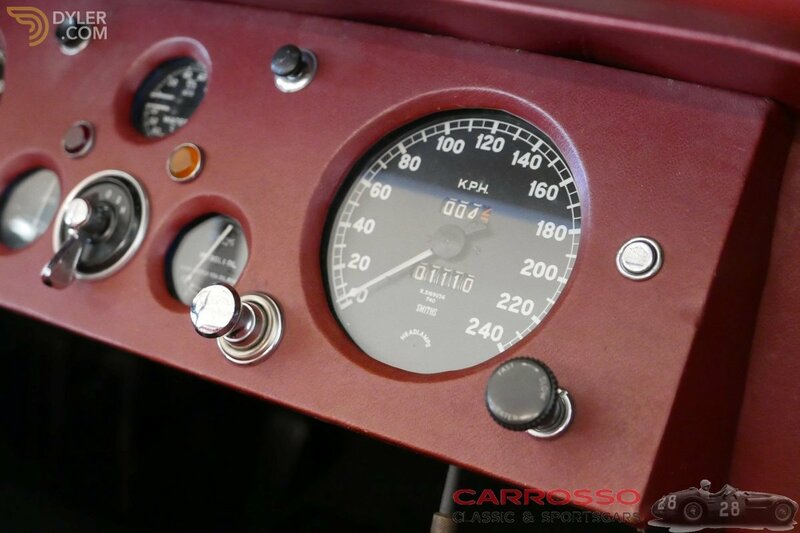 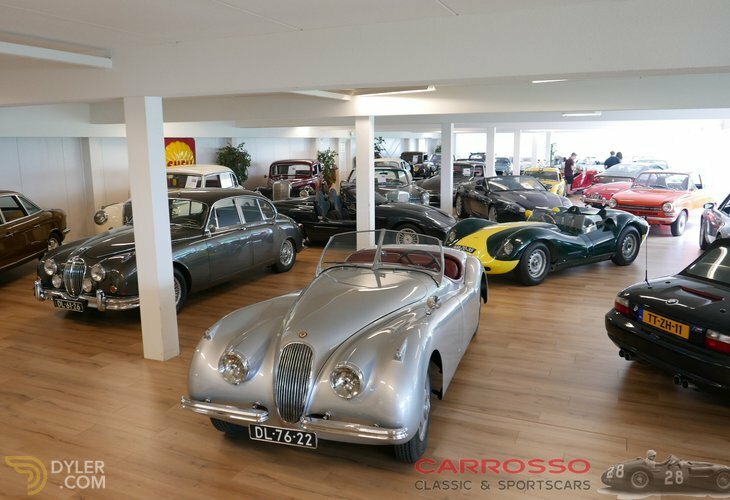 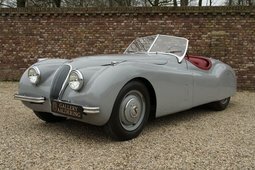 The XK120 was the fastest production car at the time with a top speed of 212km / h (132 mph). This was due to the technically advanced XK engine. 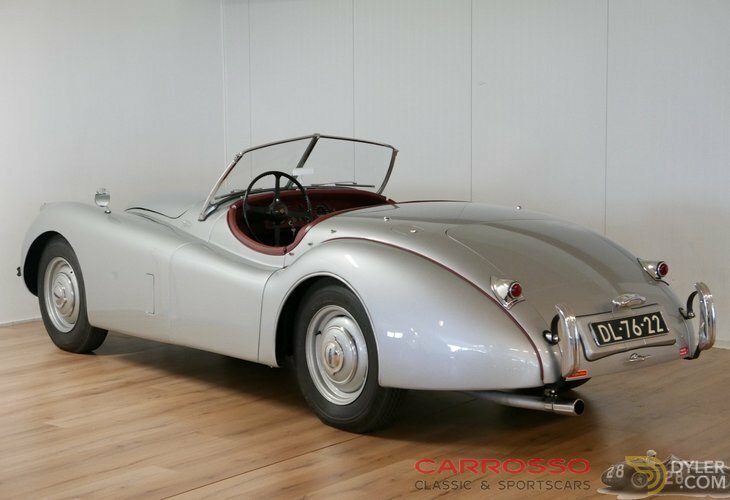 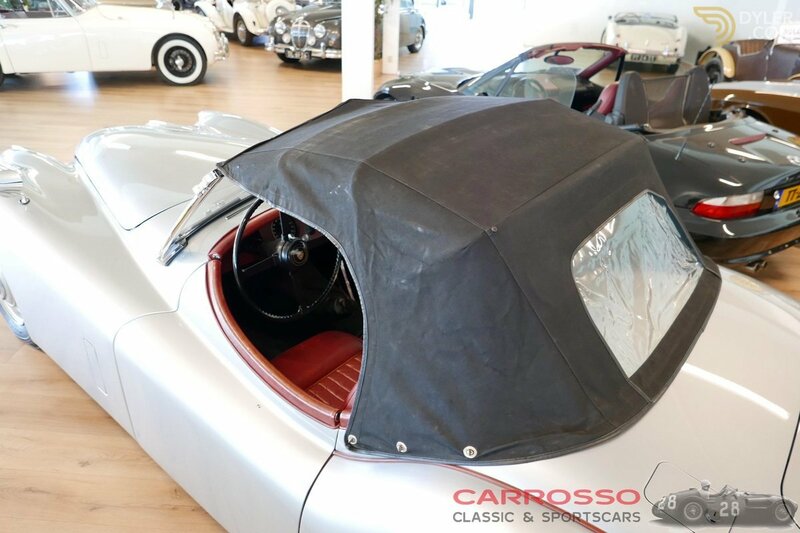 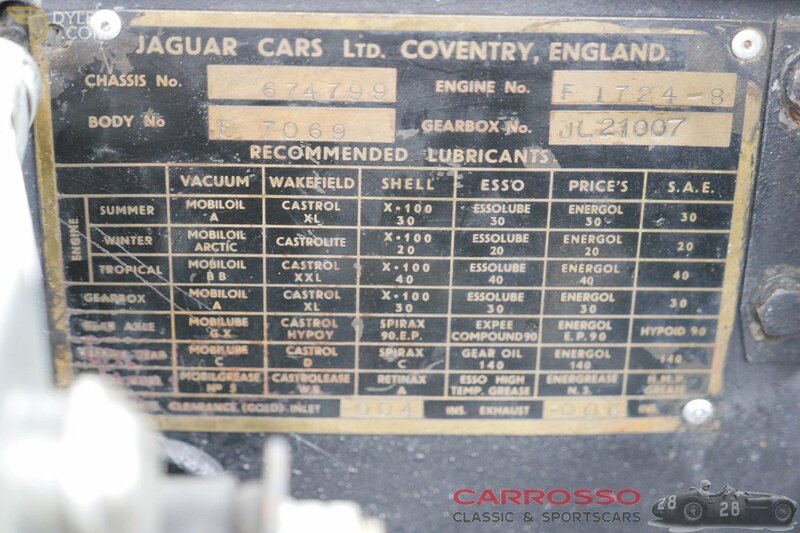 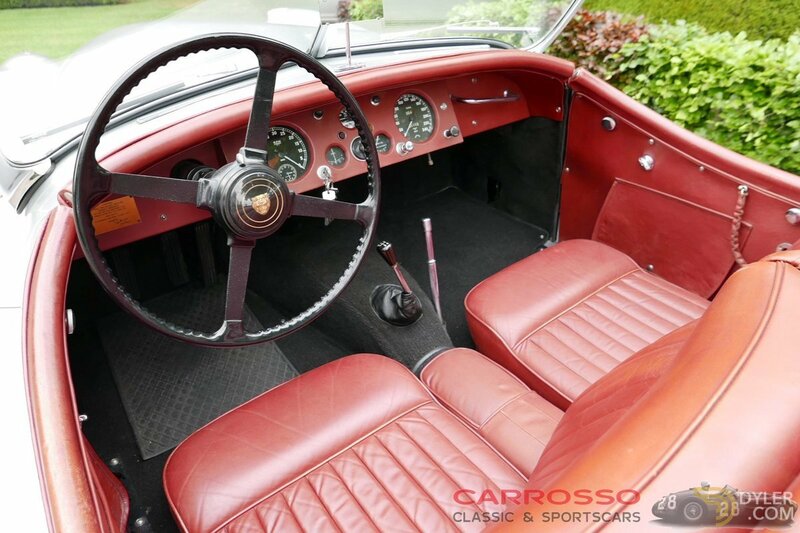 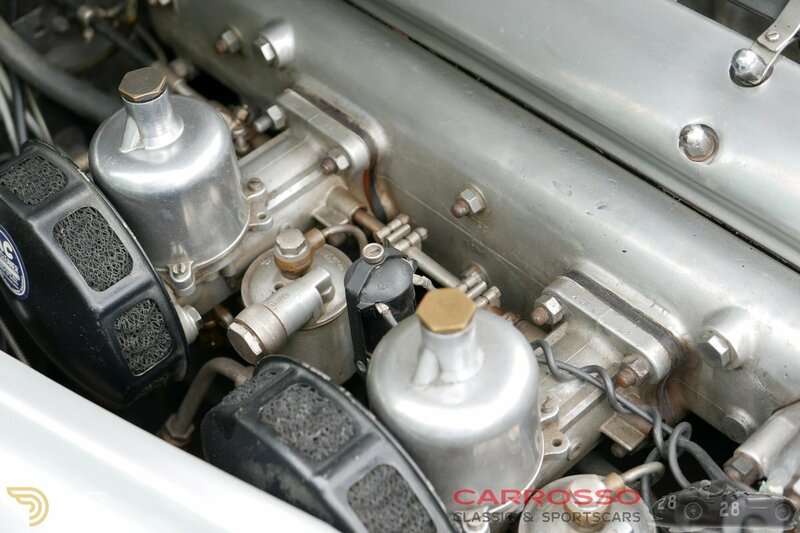 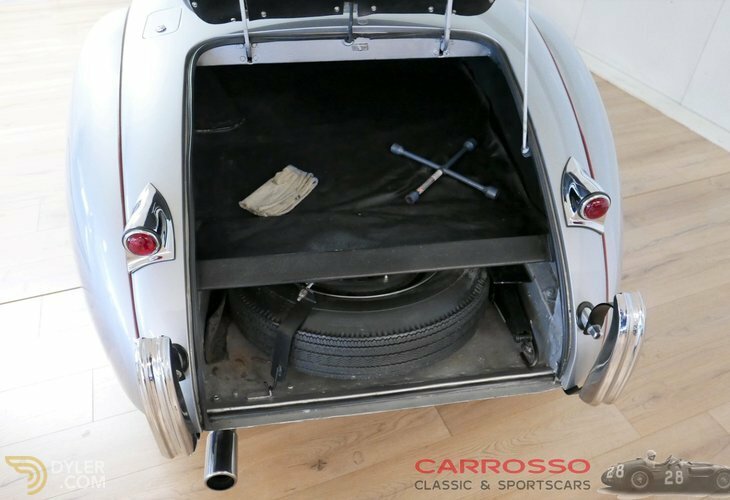 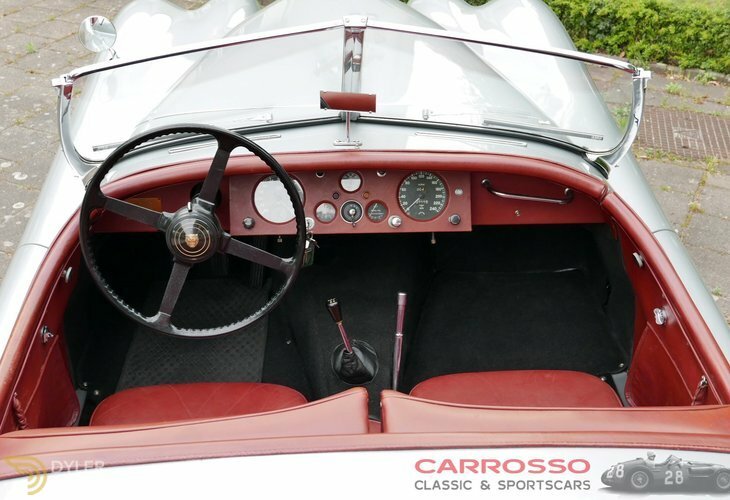 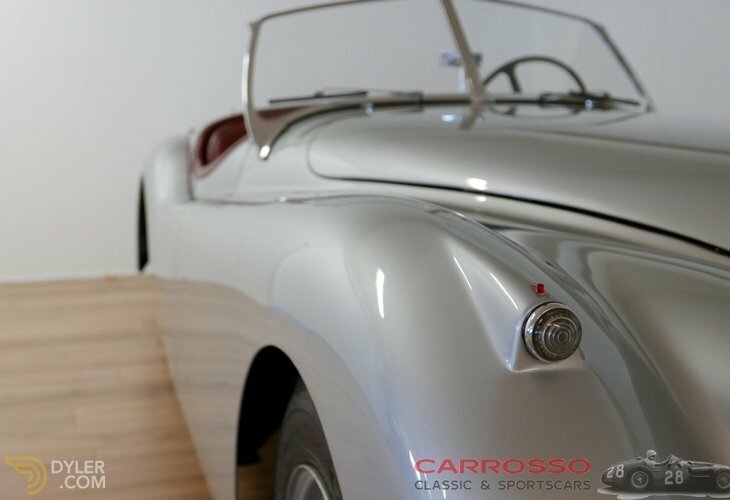 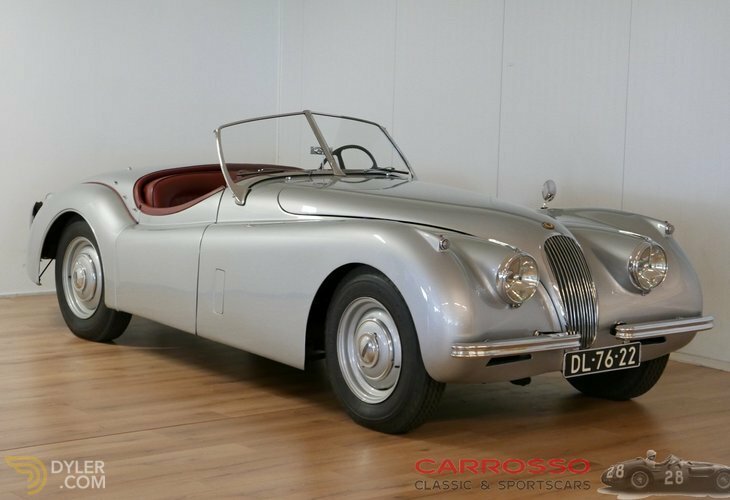 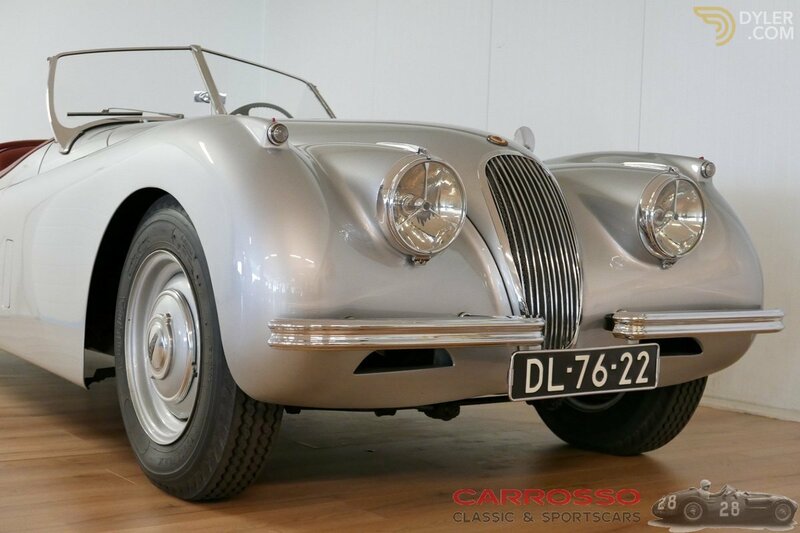 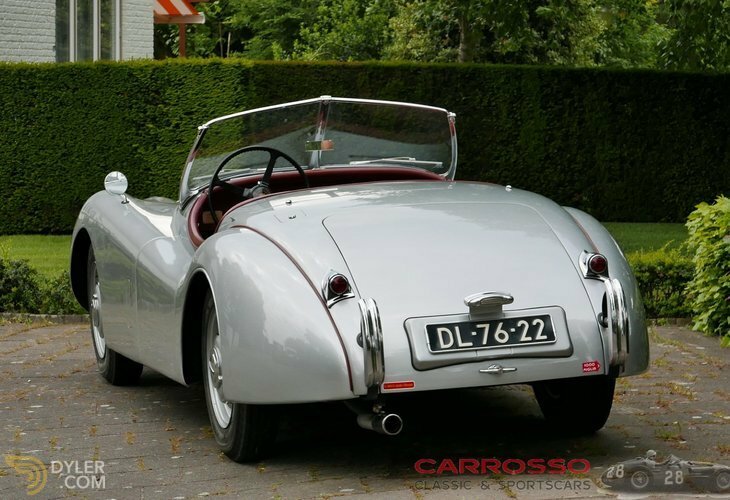 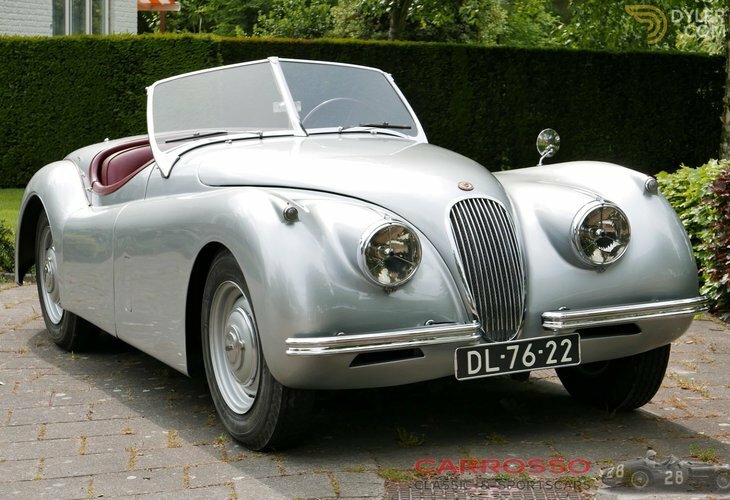 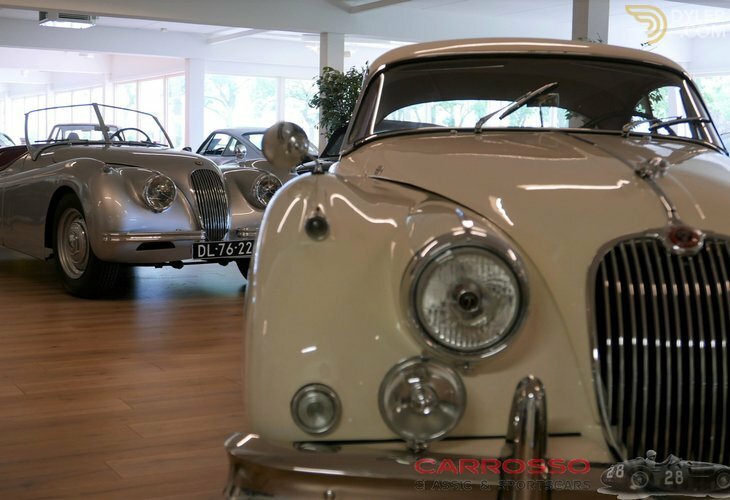 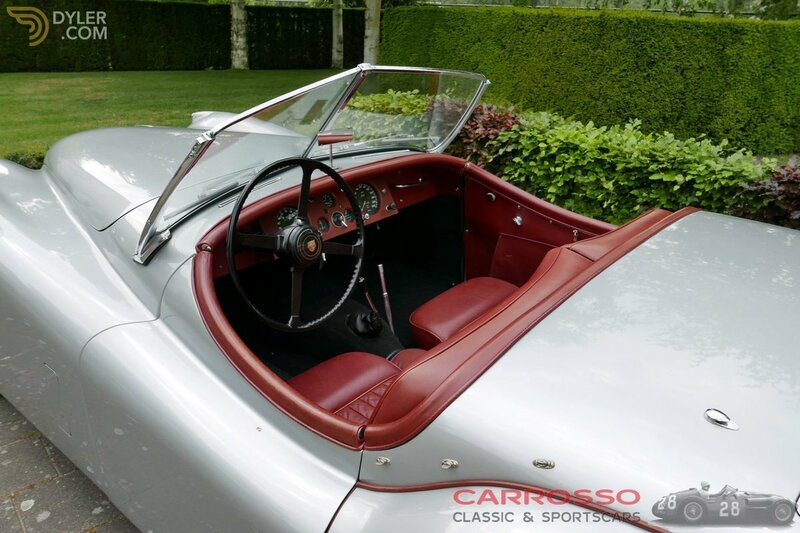 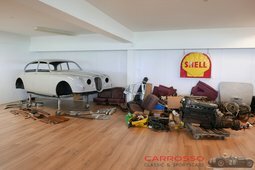 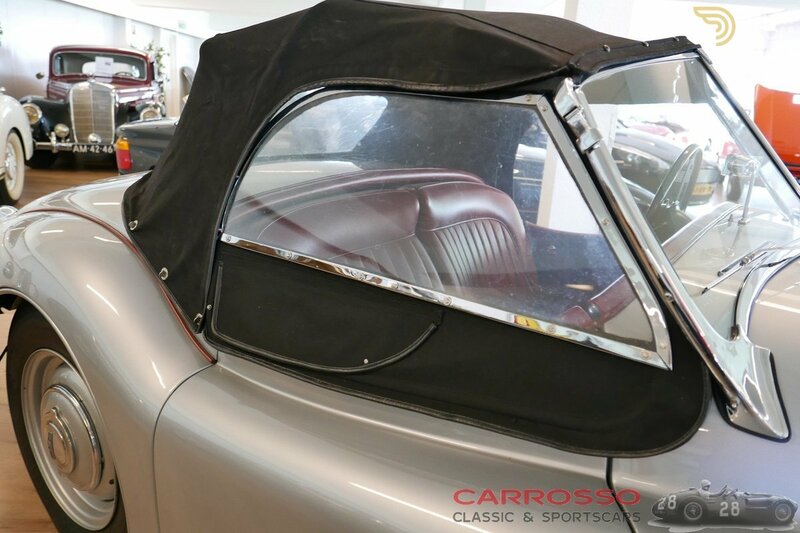 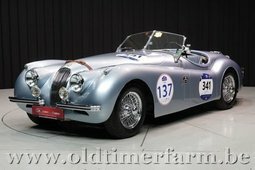 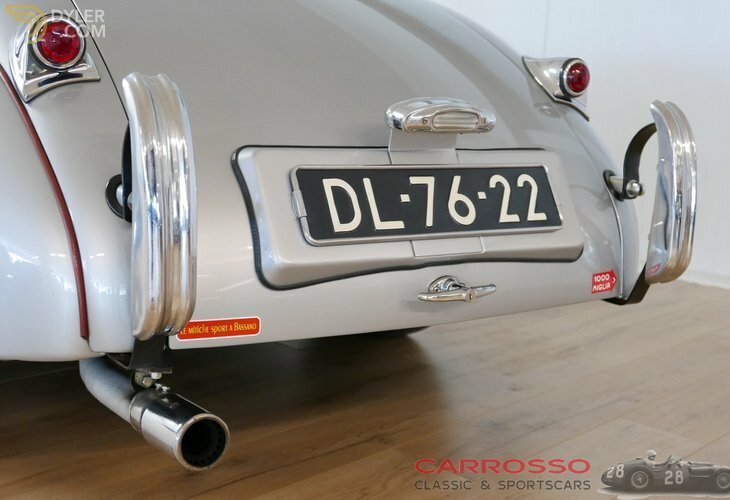 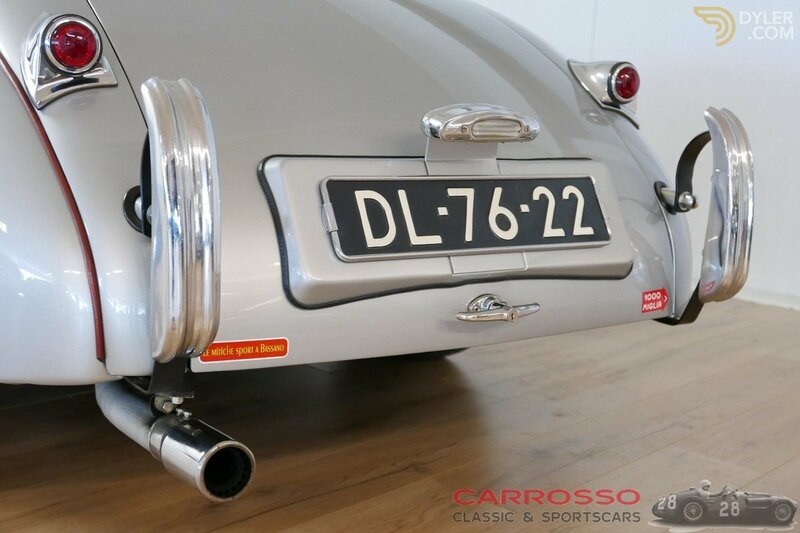 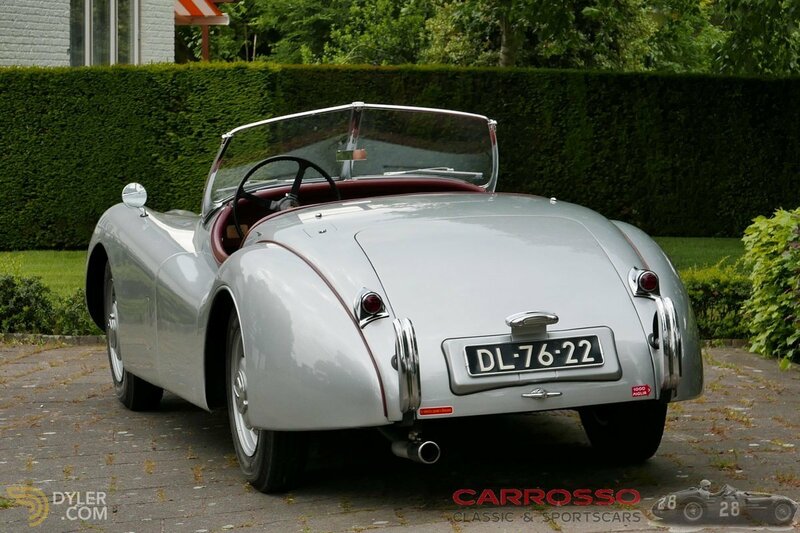 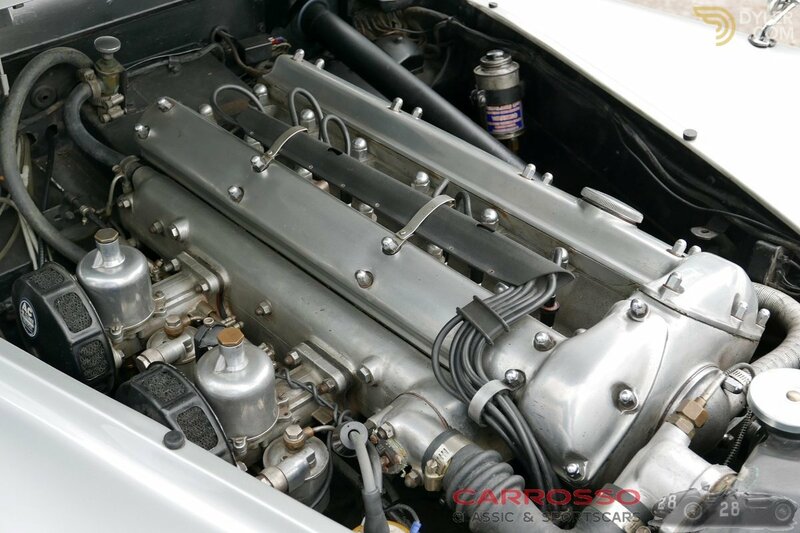 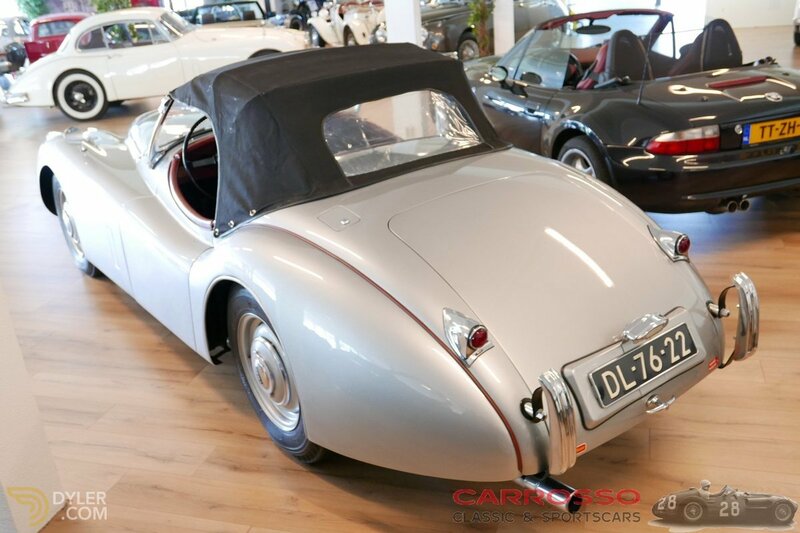 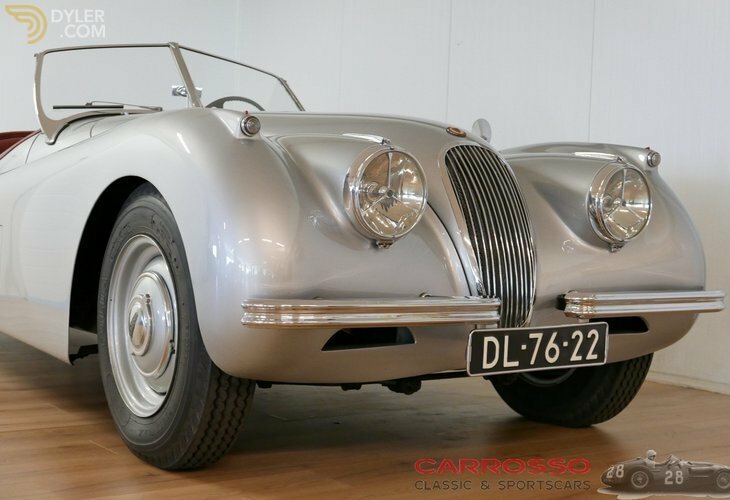 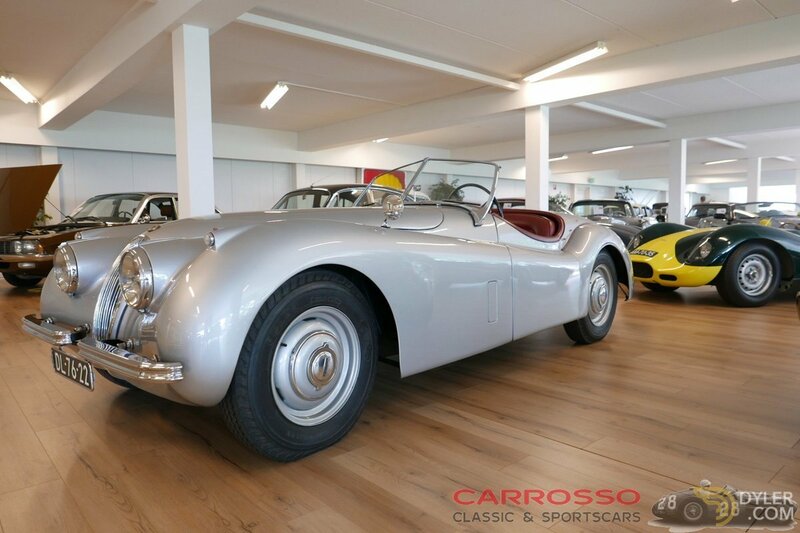 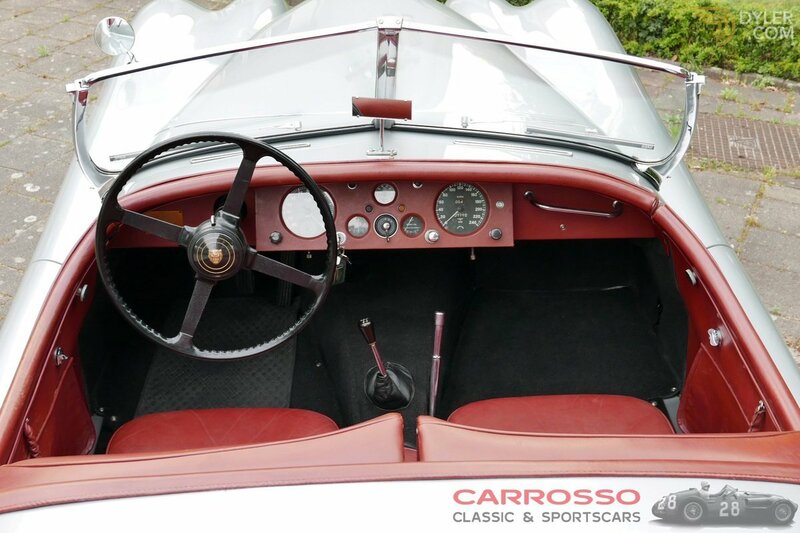 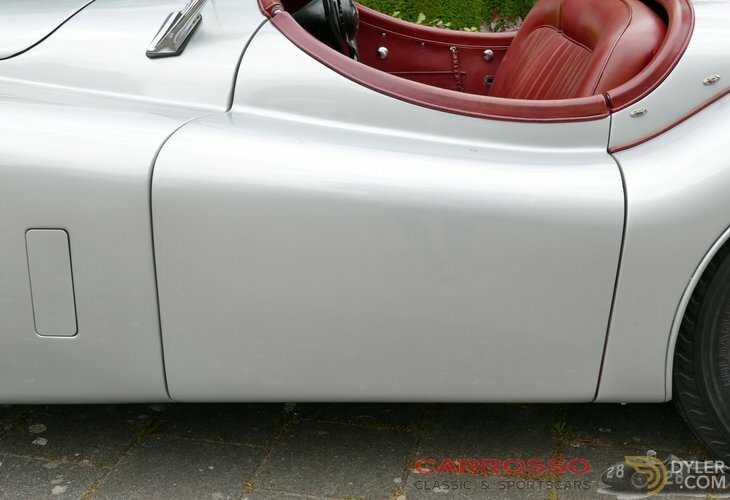 Thanks to its aluminum cylinder head, twin SU carburetors and double overhead camshafts, the XK120 produced 160 hp (119 kW).